An extraordinary piece of work, this, but Herzog’s comments in his writings about how the antagonism between them was cooked up in order to get people talking strikes me as much truer than anything in its pages. 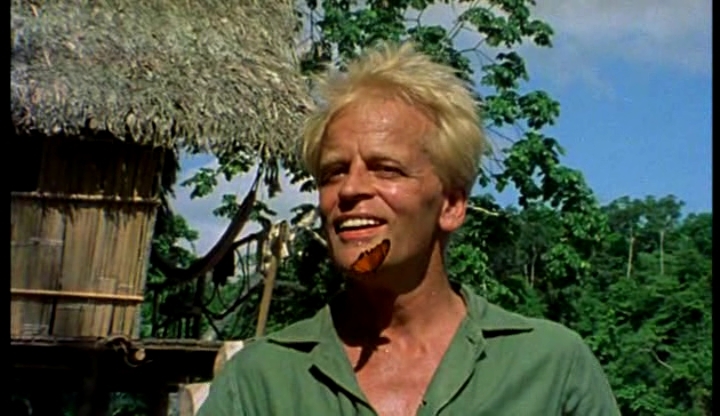 Kinski strikes me as a prime example of someone you really can’t get to the truth of. Partly because he’s a little bit unhinged and partly because, as Paul indicates. he was concerned with hype. The article is very amusing though and in places a little worrying. I can only hope that you have not been psychologically damaged yourself in the reading of this book and in the writing of this aticle. I think I have been psychologically scarred. The madness and perversions that I included in the article were only the tip of the iceberg. 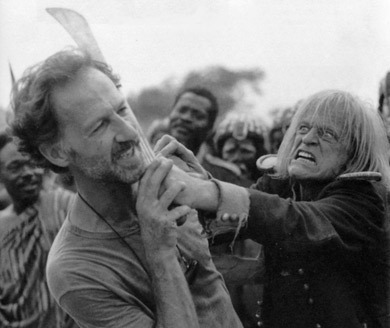 It’s true that Herzog and Kinski both enjoyed building their own myths, and in that sense they were ideally suited to each other. It’s harder to know where the reality of Kinski ended and his perception of himself began, though, and he really is a fascinating enigma of a man. At times, there’s something oddly endearing about his writing in Kinski Uncut, even as his actions are totally repulsive.